Our beautiful new Alicia Espinosa Library is open and looking beautiful! As you may have seen, we have a Library Wishing Tree as you walk inside. 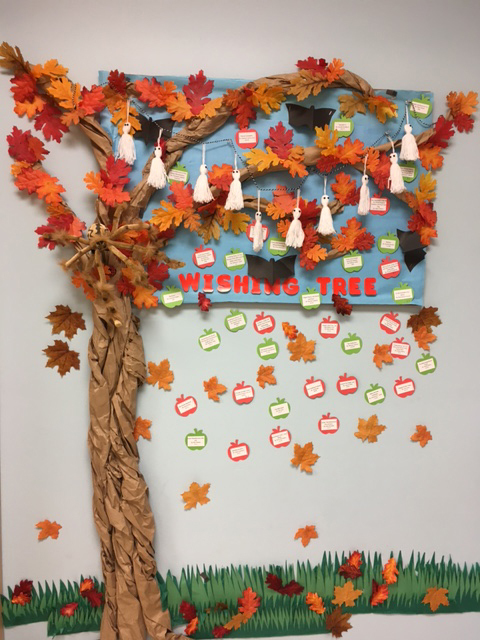 Each apple on the tree contains the title and price of a book we wish to add to our collection, by student or teacher request. If you would like to donate a book, you can take the apple from the tree and donate the book to our library. A heartfelt thank you to all students, teachers, and families who have donated books and contributed to our growing library! 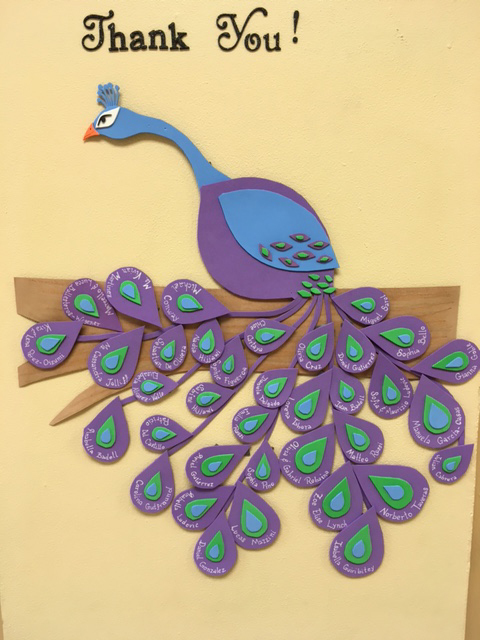 We would like to specially thank Mrs. Erika Ludovic (Nadia and Sabine Hijjawi's mom) for her help with the new library and for creating this beautiful Thank You Peacock with the names of all who have donated books. You ALL make a huge difference by the many things you do!